I found Bill to be very knowledgeable and honest. He did not try to sell me a new unit like another company I was talking to tried to do. 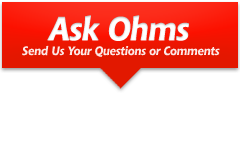 I would highly recommend Ohms Mechanical Services.